For a vacuum that is ideal for spot cleaning or large vacuuming then the Milwaukee M12HV-0 Sub Compact Stick Vacuum is ideal to use. The vacuum delivers suction that is ideal for a wide range of construction materials from wood chips to metal shavings. The vacuum comes complete with a crevice tool, extension wand and utility nozzle. If you need a vacuum to collect dust such as fine dust then the Milwaukee M18VC 18v Cordless Wet and Dry Vacuum is ideal with its HEPA 99.7% high efficiency wet/dry filter. The vacuum has a built-in blower which provides 21/sec of air flow for maximum efficiency with 7.5 l capacity which helps to reduce the time it takes emptying the unit. The powerful 18v motor enables users to reach maximum air flow of 1246 l/min / 80 bar suction power. Both vacuums are available as a single unit (without battery or charger) or as a bundle which includes the battery/batteries and charger. With any construction or DIY project, there’ll be some cleaning up to do afterwards. Our Milwaukee vacuum cleaners will help you deal with any vacuuming job, however big or small. You can find the best Milwaukee vacuum, perfect for cleaning up a range of construction materials, including wood chips, metal shavings and fine dust. Take a look at the Milwaukee M12 compact vacuum cleaner that’s ideal for spot cleaning and larger area jobs. With suction power that’s perfect for a wide range of construction materials, such as wood chips to metal shavings, it also comes complete with a crevice tool, extension wand and utility nozzle. Opt for a Milwaukee dust extractor vacuum if you need to collect fine dust, like the M18 Cordless Wet and Dry Vacuum. This Milwaukee 18v vacuum has a high efficiency wet/dry filter, with a HEPA rating of 99.7%, built-in blower and powerful motor. The M18 range by Milwaukee offers unrivalled performance for the most demanding trades, whilst never compromising on the compact design that the manufacturer is known for. If you’re looking for power, run-time and durability, shop from the Milwaukee M18 compact vacuum range to find the most powerful and effective tools in their class. With their commitment to providing the best tools for tradesman, you can finish your DIY or trade job with impeccable results when you buy a Milwaukee cordless vacuum or dust extractor from SGS Engineering. 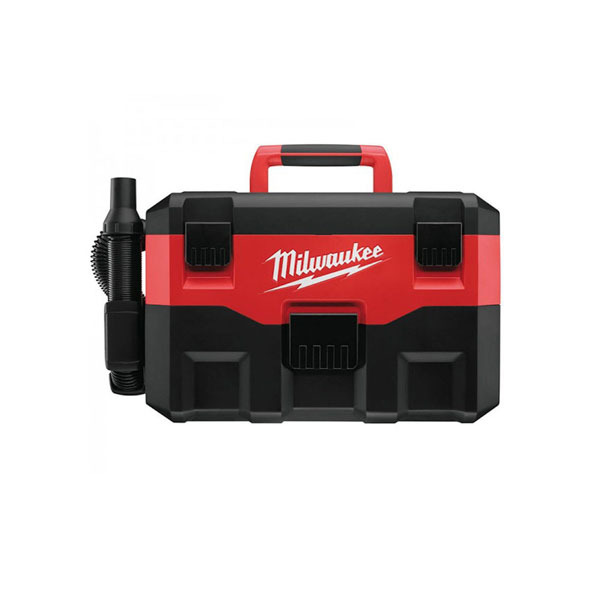 Shop the full Milwaukee collection to have some of the best for industry in your tool box.